A Robin Hood Tax on financial transactions could make higher education available for all. Vermont Senator Bernie Sanders keeps bending the rules of Senate service and presidential campaigning by offering up proposals that imagine America as the fair, functional, and prosperous country it could be. Instead of playing politics within the narrow lines prescribed by the partisans and pundits who police the political process in America, the recently announced contender for the Democratic presidential nomination is going big—this week with a plan to provide tuition-free higher education for students at four-year colleges and universities in the United States. The contender for the 2016 Democratic presidential nomination is, of course, right. But the United States isn’t supposed to be able to do the right thing anymore. According to the Republicans who are running Congress—and running for president—there’s just no money for free higher education. Or for other useful initiatives. In an age of austerity, as defined by House Rules Committee chairman Paul Ryan and his minions, we are told that all Americans have to look forward to are more cuts, more privatization, wage stagnation, and staggering income inequality. Ryan and his ideological amen corner moan that there’s just no money for programs that might educate and employ and care for Americans. Of course, there is money: trillions of dollars that can be freed up, at the drop of a hat (or a stock market), to bail out banks and fund wars. But Republicans like Ryan and the contenders for his party’s 2016 presidential nomination claimthe country is damn-near broke—with just enough money left for one more tax cuts for one more billionaire campaign donor. And, too frequently, America’s “fair and balanced” media and compromised and compromising Democratic Partygo alongwith the fantasy. What has distinguished Sanders’s Senate service and his presidential bid is a refusal to buy intothe lie of austerity. Instead, the senator is identifying problems that need to be solved and identifying where the money to solve them can be found. The case for eliminating undergraduate tuition at public colleges and universities—and for substantially lowering student debt and bringing down interest rates on college loans—is sound. And popular. So we have an appealing proposal that makes economic and social sense. But Sanders says we can. Specifically, Sanders is sponsoring Senate legislation to introduce a nominal financial transactions tax on speculative trading in stocks, bonds, derivatives, and other financial instruments. Parallel to the Inclusive Prosperity Act, a measure sponsored by Congressman Keith Ellison, D-Minnesota, the Sanders proposal would bring the United States up to speed with the dozens of other nations that have recognized the wisdom of establishing financial transactions taxes. In addition to raising revenues, financial transactions taxes have been embraced as tools to reduce the risks of high-speed and irresponsible speculative trading, explains the commission. 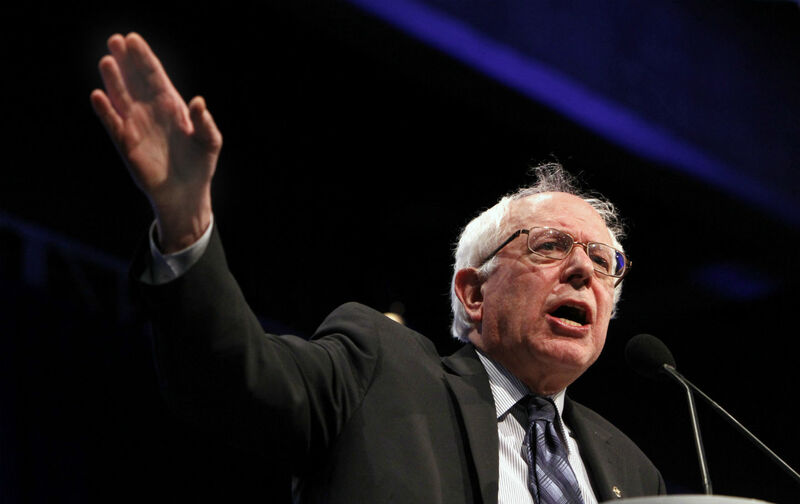 National Nurses United Executive Director Rose Ann DeMoro, whose union has been outspoken in its advocacy for a “Robin Hood Tax” on the speculators, says that the Sanders plan can raise hundreds of billions of dollars every year to pay for higher education. More than 170 labor, civil rights, religious, environmental, community, consumer, and student groups have endorsed America’s campaign for a Robin Hood Tax, joining groups in countries around the world that have embraced the movement. There’s a reason for this widespread interest in financial transactions taxes: economic realism. Sanders, Ellison, and a hardful of other members of Congress are saying it: arguing that the United States can recognize human and societal needs, come up with plans to address them, and find the resources to get the job done. That’s a rejection of economic austerity. But it is also something else: a rejection of the political austerity—as practiced by Republicans and Democrats—that has prevented progress for too long.